Some people say…that Bradford City Football Club is in its best position for at least a decade. Some people say…the recent nosedive in form is proof that we are in decline. Some people say…the club is in robust health now it has paid off Mark Lawn’s loan. Some people say…the League Cup windfall has been wasted away. Some people say…this group of players have done well to acclimatise to the higher division and are meeting overall expectations. Some people say…the style of football is terrible, the players are not good enough and their weaknesses too obvious to our League One rivals. Some people say…the struggles of Nahki Wells to adapt to life at a higher level suggest City did well to agree the deal it did with Huddersfield. Some people say…Aaron Mclean is a poor replacement for Wells. Some people say…Phil Parkinson has done a magnificent job as manager, when you reflect on his three seasons in charge. Some people say…Phil Parkinson has blown it as manager, and must be sacked. Valley Parade has become increasingly fragmented over recent months. There are major splits in opinions about the current situation and the future – and with it passions are running high. As editor of a Bradford City website, this overriding mood makes it particularly challenging to write about the club. Whatever personal views I and my fellow writers express, someone will disagree. Too positive, too negative, too much on the fence – we are either bang on right, or embarrassingly wrong. It’s all about your own view of the Bradford City world, and your interpretation of events. 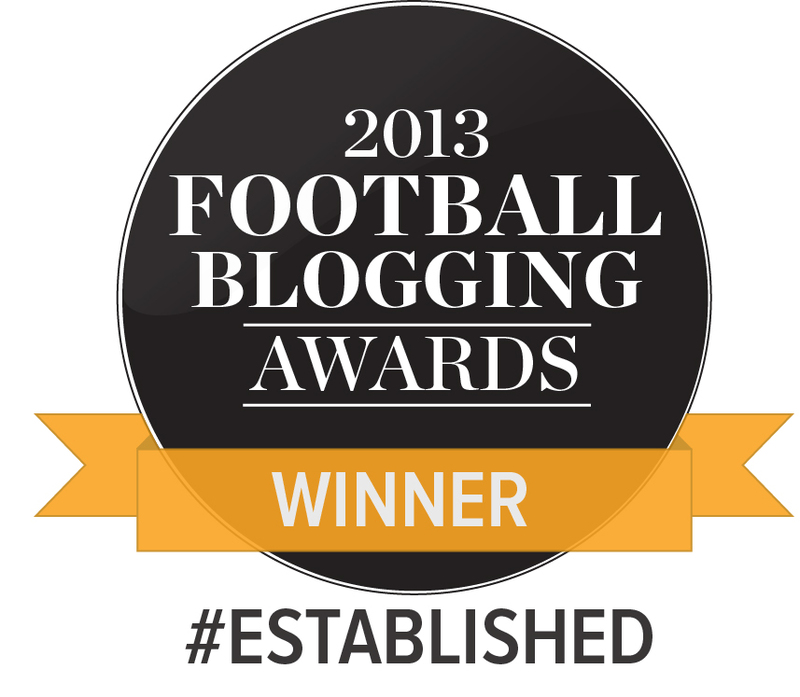 Over 10 years of writing about Bradford City has long ago taught me that you can’t please everyone – nor should you try to. And over recent weeks, I have received bits of feedback here and there that this site needs to be more negative and to be criticising the club. That we should be leading the calls for Parkinson’s resignation, for example, or questioning the directors. It all goes with the territory of producing such a website, and in its own strange way is a sign of our success: that people care enough about what we write to be unhappy when we differ from them in our judgement. This is not a platform to attempt to defend myself, as criticism comes with the territory. Some of the best feedback I’ve had for my writing efforts has occurred at times when others would be slating me on message boards. Criticism comes with the territory, and it is valued as much as the kind words other people bestow every now and then. Width of a Post has no editorial policy with the exception of one golden rule: analysis of players, management and chairmen must always be backed up with sound reasoning. Somewhere along the evolution of Width of a Post, it has become more club-friendly for sure, but that is largely because – in the main for the two and a bit years this site has existed – the club has got more right than it has wrong. When it comes to writing about City, I have always tried to be 100% honest in how I feel: good or bad. Over recent months, I have written some deeply critical match reports, such as those against Rotherham, Notts County, Sheffield United and Wolves. I doubt any players read the site but, if they did, some would no doubt be unhappy at the stuff we have had to say about them. At other times, Width of a Post has been gushing with praise for performances, players and the manager, and encouraged by the overall progress of the club. Against a backdrop of an increasingly negative #bcafc Twitter hashtag, Facebook pages and message boards, this more positive outlook can go against the grain. But perhaps we offer a level of balance in such circumstances. Whatever your view, this season is set to go down as one of fragmentation. Beyond the fact Stephen Darby is bloody amazing, there probably isn’t a single element of Bradford City’s 2013/14 performance that would find universal agreement. We have done well to be mid-table, or underachieved not to be in play off contention. This group of players has successfully adapted to a higher level, or needs wholesale changes. The manager has taken us forwards, or has run out of ideas. 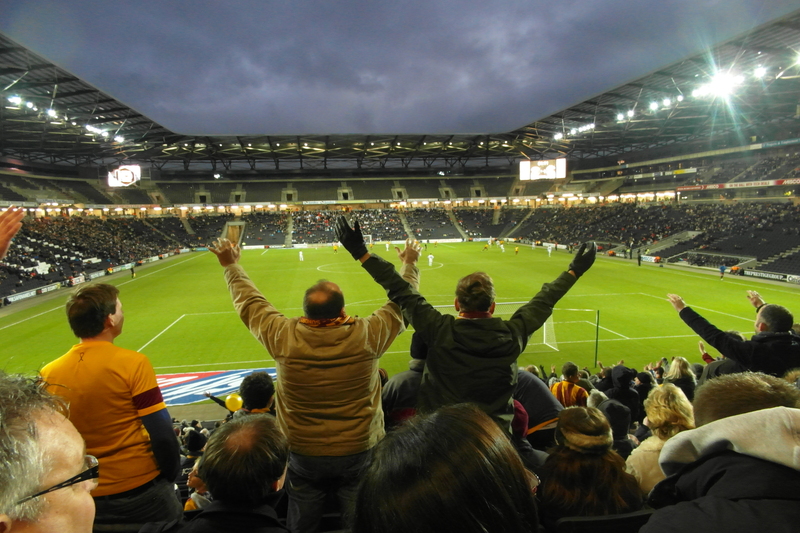 Football is such a reactive sport, full of passion and subjectivity – and Bradford City is certainly no different to the rest of the football world. So what has Parkinson got wrong this season? Well, as mentioned so many times, his summer recruitment business has proven to be dismally unsuccessful. It was quickly apparent that even he has lacked faith in those he brought in during the summer, and when things have not gone so well it is these players who are invariably the first to fall on their sword. I think that he got the balance wrong in his defensive planning. At one stage, Parkinson had six centre backs on the books, plus Nathan Doyle (who can cover successfully) and the promising Niall Heaton. Meanwhile, the squad featured just one recognised left back. The unreliability of Andrew Davies’ fitness, the uncertainty of Luke Oliver’s recovery from serious injury and the international commitments of Rory McArdle necessitated plenty of centre back cover, but the lack of game time for Matt Taylor suggests something has gone wrong. I think that Parkinson has continued to struggle getting results on the road. Just 14 away victories in almost three seasons in charge is not a great record. I think that he has yet to bring in the personnel that can formulate a change of approach from the tried – some say tired – 4-4-2 formation. He has largely built a team around the strengths of James Hanson and Nahki Wells, but failed to quickly adapt to the breaking up of this prolific partnership. Wells’ replacement has a very different style, but at times the way City have played seems to assume Nahki is still wearing that number 21 shirt. Yet I think that Parkinson has also got plenty right this season. Gary Jones has continued to defy his age by producing a number of inspirational displays. He is a true leader, who lifts the performances of those around him. Parkinson was right to put so much faith in James Hanson by awarding him a new contract mid-season, rather than risking it running down. Hanson is said to have been given a sizeable pay rise and has revelled in the added responsibility thrust upon him since Nahki left, playing that bit further up the park and scoring more regularly. A proven League One striker now, and you suspect James can still go higher. Next in the contract line needs to be Stephen Darby please, Phil. I think that Parkinson has ensured his team are tough to beat and can compete in this higher division. For all the poor form since October, only six teams have lost fewer matches than the Bantams all season (including Crawley, who have played four games less). It is too many draws that has hindered City’s progress. Only Scunthorpe United – out of the five national divisions in English football – have tied more matches than the Bantams. It really isn’t a major improvement needed to change those one-point returns into three. Just turning four of those 15 draws into victories would currently see the Bantams fighting for the play offs. Adam Reach shows Parkinson can hunt out a good loan signing; Aaron Mclean is proof of the manager’s pulling power. For all the criticism Mclean’s distinctly average performances have received, there is a proven lower league striker in there who is capable of filling Nahki’s rather large shoes. If he can build on his excellent first goal for the Bantams and contribute more often to the goalscoring column, it will look a great piece of business by the manager. The future also looks bright, with Matty Dolan – expected to sign permanently during the summer – looking a capable heir to Jones’ throne. Oli McBurnie has enjoyed some game time and shows huge promise; Jack Stockdill looks a real gem with a bright, bright future. Certain mitigating circumstances cannot be overlooked. Losing top scorer Nahki Wells was always going to be testing, particularly with his head seemingly turned during the run-up to the transfer window. Had Andrew Davies been fit all season, we would not have endured such a sustained slump in results over mid-season. Kyel Reid has been sorely missed also, albeit the form of Reach softening the blow to a point. Nevertheless, the loss of the club’s two quickest players – Wells and Reid – has been keenly felt at times. Pace must top the summer shopping requirement list. The story of this season is one of fragmentation and imperfection. Some things have gone well, some things could have gone better. Certain obstacles have been successfully overcome, but other, greater challenges have either sprung up or heightened in their size. We’ve not looked so close to the holy grail of Championship football since 2006, but at times is has depressingly hit home just how far we still have to go. The most important element, in the short-term, is that League One survival is comfortably within reach. Then the planning for next season, and the longer-term, can truly begin. The steps taken this season may not be vast, but they are at least forwards. The bruises picked up, the lessons taught, and the set-backs overcome will hopefully lead to a stronger and wiser football club. In the summer we need to apply that experience. And in the meantime, fragmentation will continue to dominate. Has been greatly missed. Once McClean gets a pre season under his belt & he learns how to play with Hanson then then this will be a very useful pairing at this level. With a fully fit Davies, Meredith & Darby as the full backs city have the backbone and makings of team that can make a challenge for the play offs next term. If parkinson can sign a box to box midfielder who can get into double figures in relation to goals then the future looks good & championship football may not be as far out if reach as what we may think. Football is all about opinions isn’t it? Sometimes you will find that people wholeheartedly agree with your own personal point of view, whilst at other times they vehemently disagree, but surely that is in part why we all love the game of football so much. Wouldn’t it be boring if we all agreed all of the time? For me personally, the main reason I love WOAP so much is that the opinions of the writers, readers & contributors are nearly always well thought, well reasoned, and entertaining, but above all they are always genuine. These are all the things which other City chat/websites (I’m not going to name them…but we all know who they are) fail miserably at. The other sites nearly always end up being about the individual who seem to spend more time & effort on slagging each other off than making valid comments and merely descend into immature debates with no contributory value whatsoever. I think you are doing yourself a great disservice by being too self-analytical. Managers, players, squad formations, finances, even mascots & stewards are just a few of the things that have come in for critisism on this site…long may this continue. Personally I would think that if City fans were asked before the season started “would you be happy if City consolidated their position in league 1?” most would have replied yes please. I guess it depends upon whether you are a glass half full or half empty kind of person. Clearly losing our top striker and losing some key players to injuries has had a deleterious impact on our season, but I take comfort from the fact that had those two variables not occurred, together with your comment regards the number of draws we’ve had, I have no doubt that we would have been challenging for promotion…not bad for a team which was promoted only the year before. Of the four clubs promoted from league 2 last year, only Rotherham look likely to continue their progression up the leagues. In summary then, you could argue it has indeed been a fragmented season but progress has certainly been made, certainly enough for me to renew my season ticket for next year and to continue to support my beloved Bradford City. A football club that we all love dearly and is forever in our hearts…surely that’s something we can all agree on?! Well said Chris – totally agree! WOAP is excellent; it has articles by sensible City supporters which are read by sensible City supporters. Personally I think WOAP strikes the right balance regarding Bradford City Football Club, I would hate it to be just another sack the manager we’re doomed footie site. A lot of the credit goes to you and the BCFC fans who contribute to WOAP and it’s various threads, giving varied but usually well thought out views on all things BCFC. I’m another who believes a fit Davies and Reid for the majority of this season would have had our great club in or around the top six, mistakes have been made, but looking at where we are in league one, consolidation looks a good bet for our club this season. Taking nothing for granted, but as looks likely, BCFC look good for a second season in league one. I believe next season will actually be more difficult for city, that makes our acquisitions in the summer key, get those right and a more successful season in league one is on the cards. I’m a life long Bradford City fan who now lives in Melbourne, Australia, obviously I don’t get to see too many games since the move down under, so I have no place to comment on the current crop of BCFC players. However, for what it’s worth, I only read match reports from WOAP, no other City web sites, because I know that I will get a fair assessment of the game and how individual players faired. Please keep up the great work, not just with match reports but player analysis, interviews and articles, it makes home and my beloved Bradford City seem that little bit closer. Hopefully with your help when I return for a holiday in 2015 I will feel I know the players a little better and know what to expect from them. Keep up the great work, it is much appreciated. Hi Jason. I can only see positivity this season. Of course it’s disappointing when we lose and when we play badly but after several seasons of flirting with the Conference trapdoor,ir’s bliss to be sat in comfortable League One mid-table. I have to be honest, I wanted a boring season this term. My life and that of my boys (and Dad) have been taken over by City excitement/worry in the past few years and although obviously I’d have taken promotion, I was quite happy to have a nice quiet season! We are not there yet and it could yet be feeling sick time, but I am hopeful we can be safe with a few games to go. As for the negativity of other fans it is quite incredible but then again it’s not really. Football fans (more than any other sport) just expect their side to win every game and if they don’t there must be an inquiry. In football it seems there is no scope for the opposition playing well. As for the players, McLean is a good signing and is now getting towards match fitness. I also think Yeates is a good player but he doesn’t suit the often direct approach. It’s hard to judge De Vita and Taylor as they’ve been plagued by injury. 3 more wins (or 2 and some draws) and it’s cricket season full time, no need to worry about City! Another excellent article Jason, but the positives far outweigh the negatives. We arrived in Div 1 via 7th place in Div 2, and overall we have made a decent fist of it – OK there has been some route one play, but also some attractive football. I too would accept consolidation, particularly as large chunks of the season have seen Davies, Meredith, Reid & Wells absent. I feel that PP could take us further forward, and sympathy for those who want him out – “empty vessels ..etc” does’nt begin to cover that view. Another life long Bantam living abroad (Japan) who only gets to see a couple of games a year (last year both were at Wembley). I’d like to echo Mark’s comments about this being the only website for a reasoned, well written match report and sensible, logical Bantams commentary. Not sure what criticism you’ve had of late but please ignore it – regardless of subject this is a first class and intelligent website, its essential reading material for exiled Bradfordians. No problem with people holding a different opinions, but to criticise the site for being overly positive is facile at best and bordering on moronic as you are simply drawing a logical conclusion from events surrounding the club both on and off the pitch. I believe that your article is a fair and balance assessment of the season so far. Also I have to agree with the majority of comments, contained within the threads, relating to this article. I read the reports published in the Telegraph and Argus, and used to view the comments, but sadly they declined into name calling and pettiness, within a few comments. I am pleased to see that Bradford City no longer has a forum/discussion broad on their website, as this took a similar path. Jason, may you and your team keep up the good work. From all the way over here in Canada, I’d say Bradford have done well, considering everything and where they were not so long ago. I’m not a long term fan like most people who commented here. I’ll be honest and say that I’ve only been ‘aware’ of the club since Bradford City’s run at the League Cup and promotion push last year season. Despite all the ups and downs since then, I keep coming back to WOAP on a bi-weekly basis for updates on the club. Agree with all the above. Steer clear of all social media forums and message boards – it’s impossible to fit any well reasoned point of view into 140 characters ( or whatever the limit is ). This leaves the space open for trolls, morons or the under 15s who generally lack the insight, experience or vocabulary to add anything useful apart from “Parky out”. Even if this wasn’t the case the forums offer that instant sound off opportunity. You hear it ever Sat night on Radio 5. We all come back from from games occasionally disappointed, emotional and upset and social media captures that. Often after 24/48 hours the game is out into context and you can pick the positives out of the home defeat or the negatives out of the away win! Sadly those of us from a certain vintage will understand that BCFC has spent most of its post war existence in the bottom two leagues and so one can argue we are at our level. I’m a little more optimistic on that front. With the stadium and fan base I think we can compete somewhere between mid championship to mid league 1 and I think we are on course within the next 5 years to be good value at that level. A thought occurred to me that after I wrote my post that generally the comments come from the same people – I recognise most of the names from previous posts. Does WOAP merely preach to a small number of like minded supporters that are unrepresentative of the supporter base in general? I hope not! If the WOAP readership is truly read by a broad church of supporters it’s odd that you see hardly any posts on here being consistently critical of the club, or ones advancing arguments for change either in the manager or boardroom. I really hope that the reason you don’t see those arguments on here is that they are such a tiny minority that statistically such a post would be very unlikely. that the readership is far greater…. Hi Andy…it’s 12 per week! Just joking. Readership can slightly vary in line with the club’s fortunes. When City are doing well, readership increases, when they are struggling, it drops a little. I guess we are the opposite to message boards, which seem to go into overdrive when the team isn’t doing well. We average 1,250 – 2,000 visits per day (sometimes more, the Nahki Wells saga saw us receive over 6,000 in one day, sometimes less). It works out between 7,000 – 15,000 per week. In January we had over 75,000 visits. Visits means every time someone logs onto the site. So if, say, you went onto WOAP twice in one day, it would count as two visits. So hopefully that’s a good proportion of our fan base. I would say that we are read by a decent percentage of our fan base but not everyone who goes to VP will read us.